Finding The Perfect Scent This Valentine’s Day. To me the whole process of getting ready isn’t complete without fragrance. I don’t feel put together without it (there’s always at-least one lurking in my desk drawers and my handbag). When it comes to gifting it’s the one thing I gravitate towards most, both on my own wishlist and when buying for other people, especially for Valentine’s Day. Not only does it feel like a special treat but with spring only a few weeks away it’s the perfect time to have a re-fresh and try something new. One of my favourite brands Ted Baker have just launched their brand new premium fragrance Ted Baker Est. ‘88, inspired by a new generation of empowered women. It’s a beautiful blend of floral and citrus notes with a green dimension, the combination is fresh and delicate feeling really clean and sophisticated. 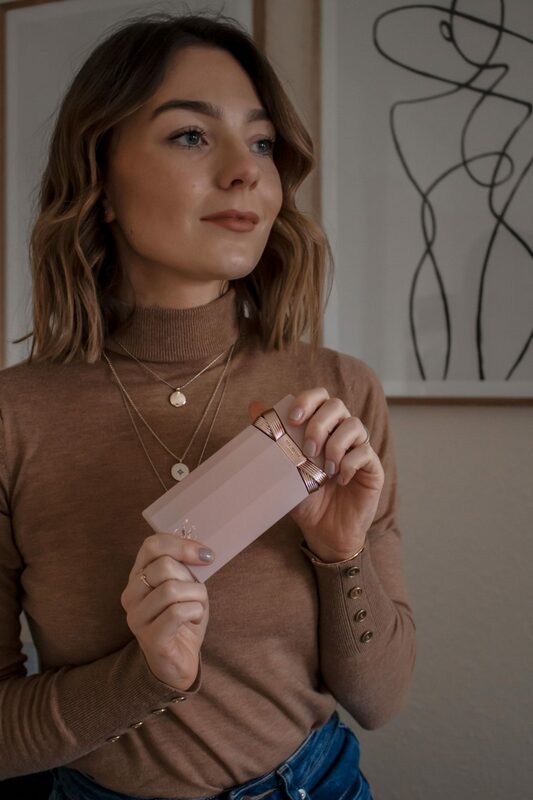 For me it’s the perfect everyday fragrance that I can wear to the office and feel comfortable with, as it’s noticeable without being overbearing. Although the top and heart fragrance notes lend themselves to be more spring/ summer appropriate, the base notes of vetivert, soft woods and amber make it a perfect all year round staple. The one thing that’s consistent when it comes to my favourite scents is a hint of floral, if the floral notes aren’t there then I’m probably not going to like it. 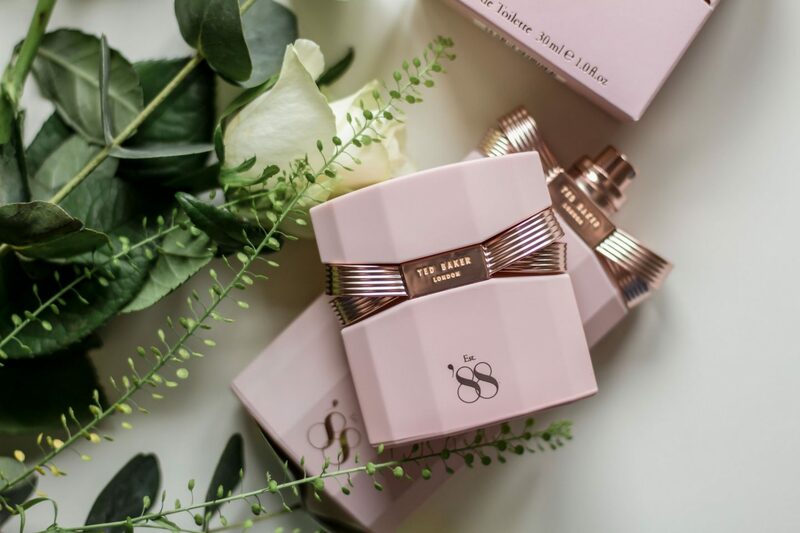 The lily, rose and neroli work so well together, combining that with the citrus, Ted Baker has nailed a modern yet feminine scent. Another thing I always look for in a scent that isn’t over powering, but does have the ability to last all day, in-fact if it doesn’t last then I’m likely to never reach for it! On me it’s the neroli and rose that seem to hang around, and even 10 hours later I can still catch the scents lingering. 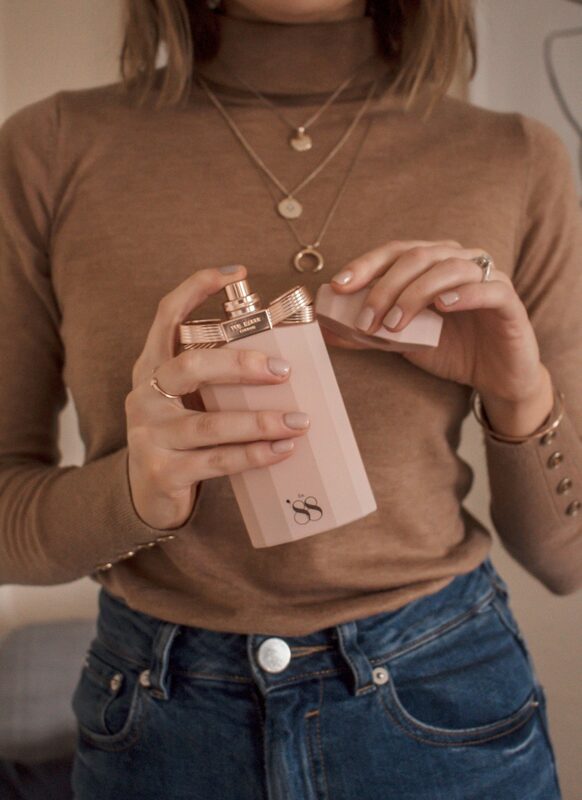 Of-course when it comes to gifting packaging matters, the bottle is weighty adding to the luxury feel and has a smooth soft touch finish with the most beautiful rose gold detailing. 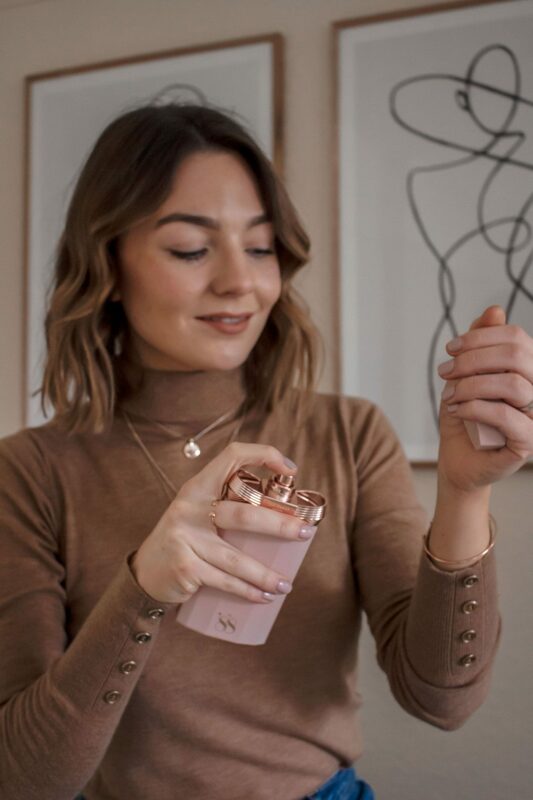 The bottle is actually inspired by Ted’s womenswear and accessories collection, which I can definitely see from the design, it reminds me of a pair of tailored trousers with the architectural look. The fragrance comes in a 30ml for £30 and 100ml bottle for £50. The 30ml is the perfect handbag size, the packaging is sleek so it’s perfect for my smaller cross body bags. This is the most premium fragrance from Ted Baker to date, and it definitely shows. Everything from the combination of different notes and premium packaging make it worth the investment and a beautiful gift the Valentine’s Day. I’m really excited to see where this fragrance takes Ted Baker as it’s definitely one to try. You can buy the new Ted Baker Est. 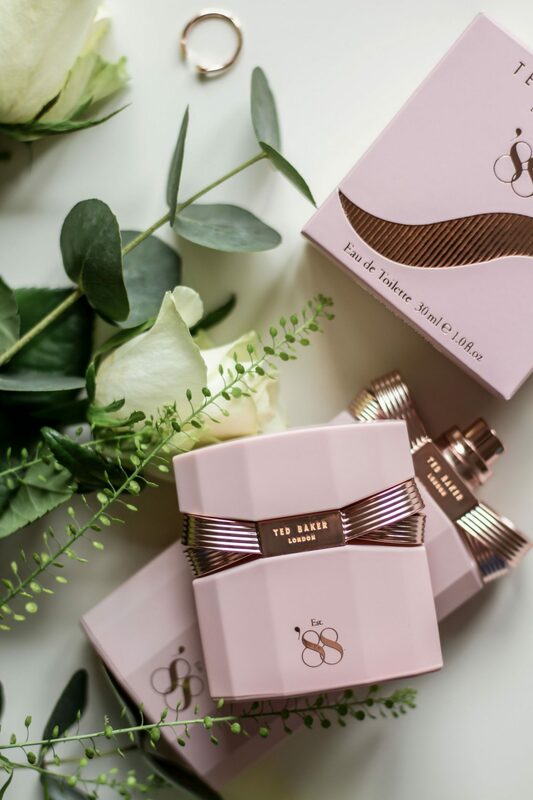 ‘88 fragrance online, and in Ted Baker stores. Is a new fragrance on your wishlist this Valentine’s Day? This post is written in collaboration with Ted Baker. Most Used Makeup – Honeymoon Edition. "Why I’m Sticking With A Capsule Wardrobe." Isn’t it stunning?! I love it. The packaging is so stunning, I love the colours so much! Sounds like a gorgeous scent! I love Ted Baker fragrances, I am going to have to check this out!